The format of a thesis paper is really an imperative and most significant thing to be looked upon. As before looking inside the body of the whole thesis paper, its format is the initial and earliest thing that helps in making the overall impression of the whole thesis. If the format of the thesis paper is attractive and eye-catching, it will make an overall good impression of the whole thesis. On the other hand, if the presentation of the thesis paper, which is obviously its format, is not good it will shatter the impression of the whole thesis paper. A perfectly formatted thesis is the key to grab the attention of the reader at the very first sight and will surely raise the impression of the overall research even without reading it in the detail. On the other hand, if the format of the thesis paper is not eye-catching, the reader will never read it with the concentration. Most of the times reader even don’t bother to read the poorly formatted thesis paper, doesn’t matter that how much high-quality research is being done in the paper. That is why the thesis paper needs to be finely and properly formatted. In this type, the whole research paper is designed in such a way that is conferred around the main issue or central problem of the research. 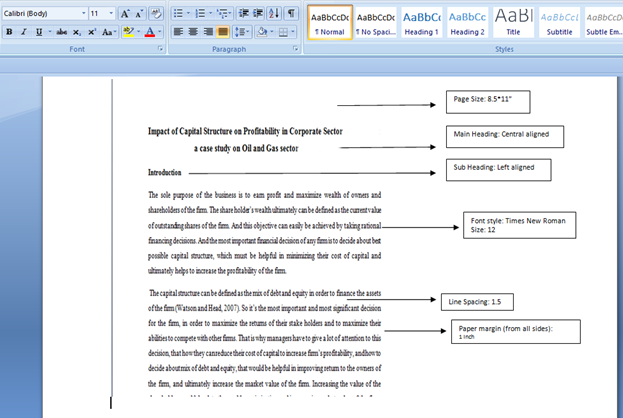 This format is mostly used in the case where whole research paper is prepared and presented to publish in a single turn; no part of the research paper is previously submitted or published in this case. This format is followed in the case, where one or more document is to be published but it is necessary that all these texts must be completed by applying the same set of laws and guidelines. 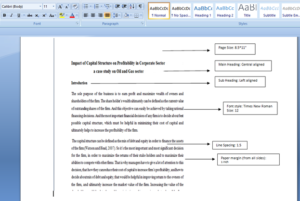 Font selected for making an excellent research paper must be selected by taking into consideration that it will give the first and foremost impression of the whole research paper at the very first sight. Without even reading a single word of the research paper, the font of the thesis makes an overall impression about that paper. So the font used must give quite elegant and refined image of the thesis paper. Times New Roman, Helvetica, and Geneva have widely used fonts in the thesis paper. Moreover, another thing to be taken care of, while writing a research paper is that unnecessary usage of bold and italics must be avoided. Acceptable and satisfactory font size for writing a research paper must be easily understandable and reasonable. It must not be too small that may act as a hindrance in reading the paper or neither too outsized that seems imperfect for the research paper. 12-pt is highly recommended and widely used font size in the research papers. 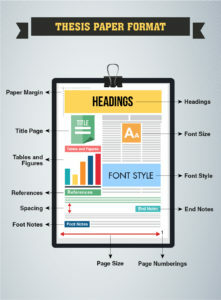 While selecting the font size it is necessary to consider that it must be presentable (not too large that looks odd in the paper) and readable as well (must not be too small that serve as a hindrance in reading the research paper). Recommended spacing for the research paper is 1.5 or 2. Most of the papers are formatted double spaced which is good to give a pleasing and eye-catching look to the research paper. The whole body of the research paper should be in the same spacing format, except the table of contents, endnotes, footnotes, long title or quotations which can be spaced singly even. To write a thesis paper with acceptable and eye-catching format must follow the standard size of paper which is 8.5*11 inches. All the international papers use the given size of the paper for affecting a perfect thesis paper; moreover the same appealing size should be followed in all thesis paper. All the margins of the paper (top, bottom, and left, right) must be equal and adequate paper margin is about 1 inch from all sides. A title page is something which actually gives a quick and introductory overview of the writer and the whole research paper. First and foremost thing to consider is that title of the thesis paper itself must be chosen with the words which must be understandable to the reader and truly depicts the intact working & research done in the thesis paper, in short, it must be relevant and appropriate. Besides the title of the paper, title page must contain the name of student/researcher, supervisor/teacher’s name, degree title, and the name of organization/school where you are studying and submitting the thesis paper. The title page must also contain the date of the submission of the thesis paper, moreover in case if signatures are required on the title page, they must be originally done. There is a proper way to write down the headings and subheadings of the thesis paper. 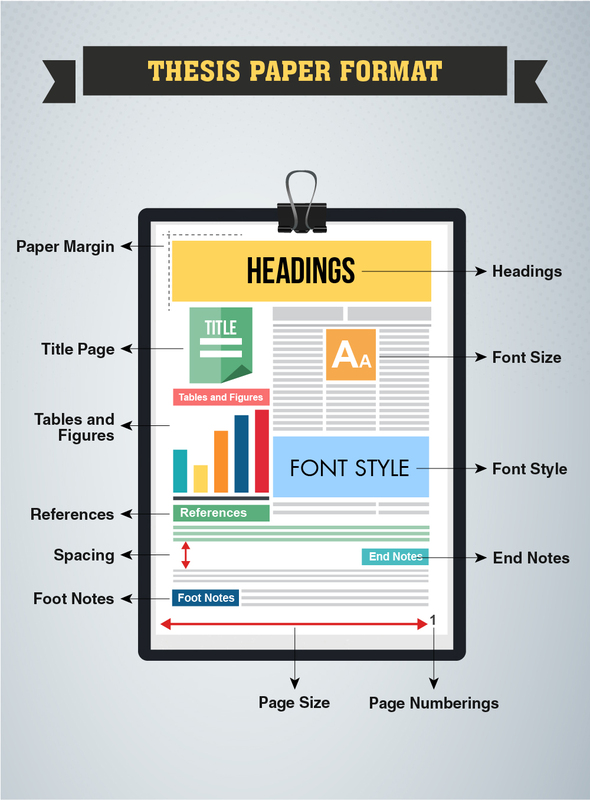 Main headings should be written by applying upper or lower case and should be centered aligned on the page. Subheadings must not be centered aligned; they must be aligned left and may be italicized if required. Page numbers are necessary to be placed on all the pages of the thesis which contain the main body related to the thesis until the end of the thesis paper. But it shouldn’t be given on the initial portion of the thesis which includes a title page, and table of contents etc. These pages, which are not directly related with the main body of the thesis paper, may be numbered by using (lower case) Roman numerals. 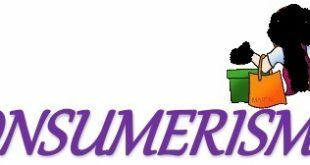 All other pages starting from the main text or introduction of thesis paper may be numbered in Arabic numerals and same numbering style will be continued till the end of the thesis paper. The page number should be placed in the upper right margin, and it must be ½ inch from the top right margin of the paper. In some cases running head is to be included some spaces before the page number, if required. Footnotes include interpretation section which must be positioned at the base of the page and that bottom should be segregated from the main text with a visible line. It must be aligned at the left side of the page like another body of the thesis. It must be noted that the spacing of the footnotes should be 1 only; it should not be double-spaced like the other text of the thesis. So if they are more than one line their spacing must be set differently. If there is more than one footnote, they may be separated with double space with one another. It must be noted that all the footnotes should be numbered in Arabic. Endnotes are something different from the footnotes so its formatting style is also different than that of footnotes, but they can be used as a suitable substitute of one another. Unlike footnotes, endnotes must be placed on a separate page; they cannot be placed at the bottom of every page. It depends on the choice of the writer or the instructor that they may be written at the end of every chapter or at the end of the complete document, addressing to each and every complexity highlighted in the main text. However, its spacing is very similar to the spacing of footnotes, single line spacing if the endnote is more than one line long and double-spaced with the next endnote. Tables and figures are mostly placed at the end of the paper. Actually, they are referred along with the main text, where they can be related to the body of the thesis. But all the tables and figures containing complete information widely appear at the end of the paper in a separate section. Each and every table must be placed on the separate page and must be labeled individually like Table no. 1, Table no. 2 and so on. Like all other sections of the thesis paper, it must be started on a new page and in most of the cases references are placed at the end of the complete document containing the complete and comprehensive indication of each and every citation placed in the document. This section may be written under the heading of References or Bibliography which must be centered aligned. And its line spacing must be 1 if a reference is more than one line long and it should be double-spaced with the next reference written. All the guidelines given above must be followed in order to maintain the sophistication and correctness of the thesis paper. The format of the thesis paper matters a lot because it is the primary requirement to be followed by the researcher/writer. Moreover, it is the first and foremost thing which actually builds up an overall impression of the thesis paper and its writer even without reading a single word of it. So it must be perfect and attractive enough to grab the attention of the reader and make him read the complete article till the end.